OpenSparkz is an early stage Fintech company delivering an end to end scheme agnostic card linked enablement platform that redefines the next generation of loyalty and offers experience for program operators, merchants and consumers. We help companies that already have a loyalty program or already make offers to their customers. We do this by removing friction and cost from the system and creating better experiences for consumers and merchants. Customers simply register any scheme credit, pre- paid or debit card and link it to their chosen program. Because the card is linked, we receive payment data in real time from payment schemes and spend data in real time from transaction processors. This technology combined with the use of real-time data means you can deliver the right offer, at the right time, in the right place. OpenSparkz are a fully PCI – DSS certified level 1 service provider. Our platform works for online, offline and online-to-offline customer interactions and supports any reward & offer type – miles, points, cash back, vouchers, P2P payments and charities. We are a foundation member of Stone & Chalk, one of only 50 Fintechs accepted as an inaugural member of the prestigious Fintech hub. Stone & Chalk are backed by the State and Federal Government and some of Australia’s leading retail and fin services companies. 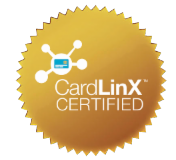 OpenSparkz are members of the global CardLinx Association and are also a CardLinx Certified provider. The CardLinx association increase the interoperability, eliminate friction, and promote the growth of the card-linked offers industry.